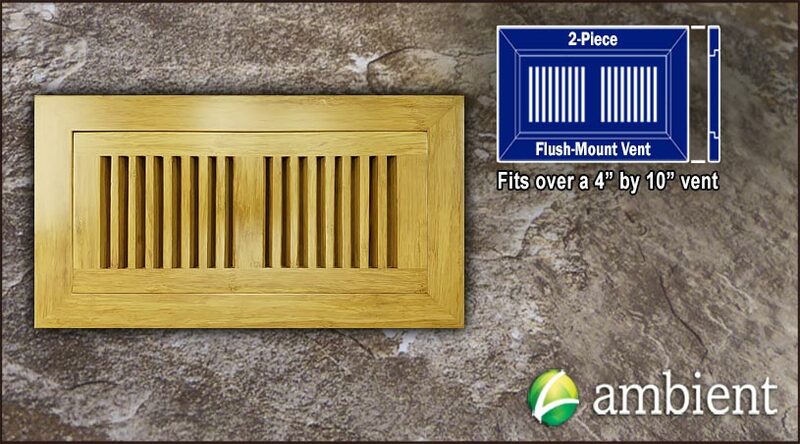 Here at Ambient, we make choosing a floor vent a simple process. 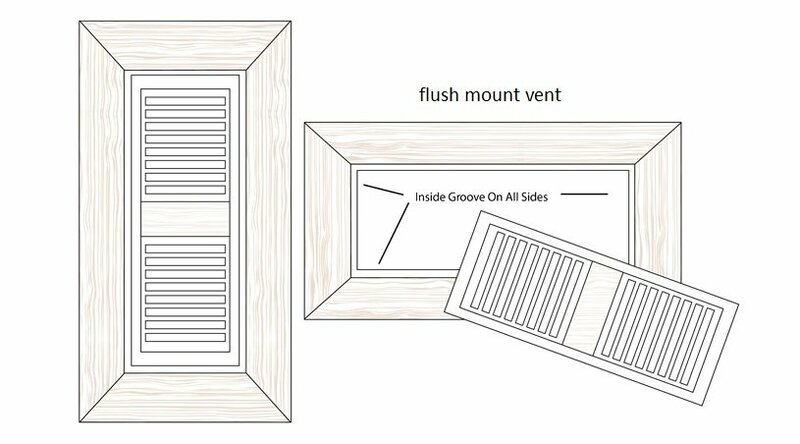 To figure out what size you need, remove your old vent, flip it over, and measure the bottom. The most common vent sizes are 4 inches by 10 inches and 4 inches by 12 inches. Secondly, you have to decide if you would like a flush mount grille or a drop in grille. The product on this page is a 4 inch by 10 inch flush mount vent grille - which means it will sit flush with the flooring once installed. Because it is a two piece vent, the center portion can pop out to access the duct below. 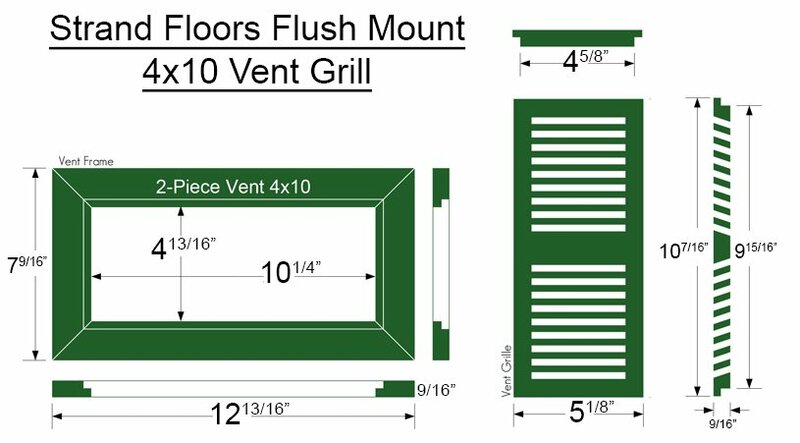 Please note that while this vent grill is labeled 4x10, the actual dimensions are a bit larger. Please see the above diagram for the precise measurements.